Since my early days of photography, I have been consciously spending time following the work of great photographers. When I see a beautifully composed photograph, I spend a couple of minutes studying it. I want to understand what they did that made their photographic work an art form. I observe the overall composition – the elements (people, objects etc. ), how they are interacting with each other, play between the foreground and background, and more. Then I go beyond what I see. I try to ascertain how that composition makes me feel. After all, the purpose of art is to evoke emotions, and help the viewer connect with them. Absence of feeling is disservice to a work of art and its creator. Art is a perfect medium to connect with your inner self. This is largely because an interaction with art is one of the most personal experiences to have. You walk into an art exhibition, you will notice a hall with a high ceiling, with long, expansive white walls. The walk ways are not as well lit as the walls and the artefacts, though. This is done to draw the visitor’s attention to the artefacts on display. That’s why you are there, isn’t it? 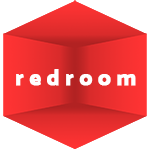 Your eyes take a quick scan and are automatically drawn to an artefact. As you approach the object, you mentally begin to disconnect from your surroundings. Your mental faculties begin to focus more on the artefact. Sustenance of the focus will depend on the level of personal connect you find. In a matter of seconds, there is a bond that didn’t exist before, which can potentially last a life time. Formation of such a bond is possible when your emotions are evoked. Familiarity or obscurity of feelings, or a combination thereof, determine the level of bond you will form. Your past experiences, the resultant trauma or bliss, your state of mind at the time, preferences, and more, influence the level of connection you will form with that piece of art. Having spent significant amount of time on studying works of great photographers, I have noticed that there are a few photographs that I never forget. Rather, my mind would keep thinking of them at the slightest of the triggers. I would attribute this to those photographs striking a cord with deepest of my emotions. Funny part is, that, I am unable to point my finger on why that bond exists! I have tried it so hard, yet, it is so difficult to say. I will, however, attempt to pick a few of them and share why I feel connected to those photographs. The first one is by Henri Cartier-Bresson. I am unsure of what it is titled as. What I do know is that every time I see this image I feel connected to this photograph at many levels. I immediately connected with the man on the bicycle because I have always loved cycling ever since I was a boy. 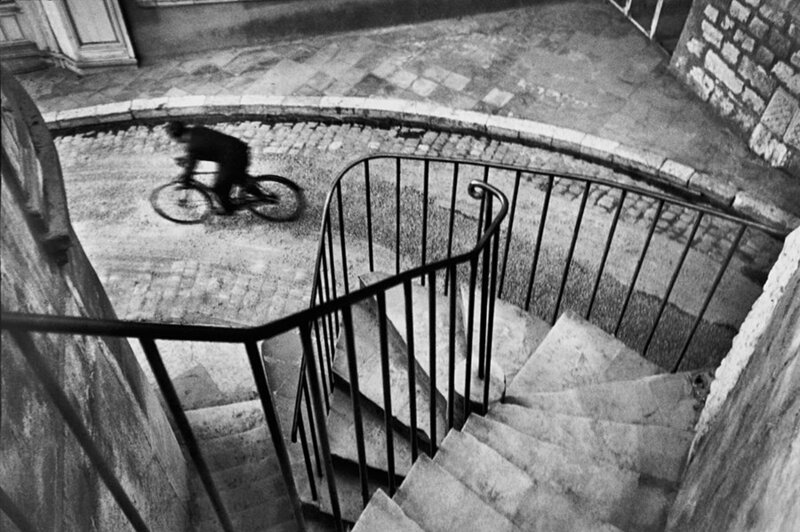 Not only the spiraling staircase draws attention towards the cyclist, it makes me want to grab a bicycle right away. The photo has no interfering elements. This subtly and distinctly raises questions – Who was the man? Where was he riding to? What is the location of that empty road? And where did it lead to? Why there’s no one else around? To me, this photo also emphasises the human effort that went into commuting via a bicycle in those times. 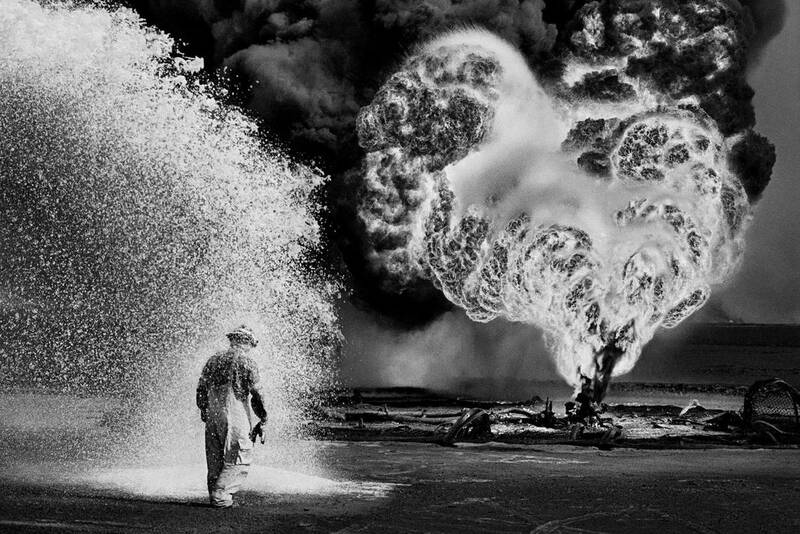 Second one is a photo of a firefighter trying to extinguish an oil well fire in Kuwait, by Sebastiao Salgado. This is one of the most powerful images I have viewed. Sebastiao Salgado has spent his career capturing compelling moments, telling rare stories through his black & white photos. His work encouraged me to try my hands on black & white photography. This photo very clearly brings out the Nature’s wrath when humans take it for granted. The devastation caused by Gulf War not only took and ruined lives, it showed what happens when we disregard what Nature has offered us. The firefighters put their lives on line to put out the burning oil fields. Despair of one of those firefighters clearly stands out in this composition. To me, the shape of fire appears to have a heart-like shape. It acts as an irony to the situation that has been captured here. 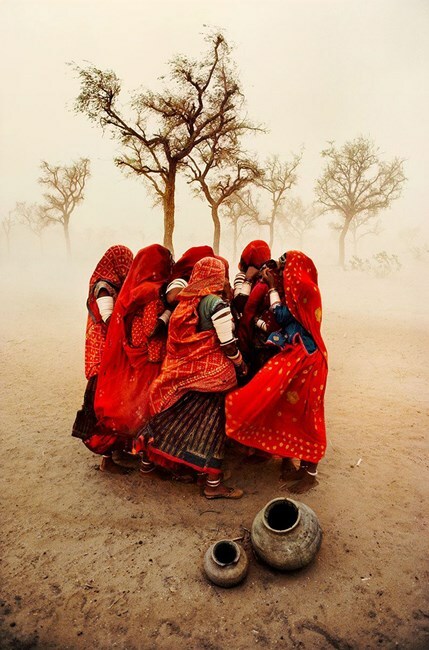 Last one, is the one titled as ‘Dust Storm’ by Steve McCurry. I had to mention Steve’s work simply because his work motivated me to take up photography. (Click here to read about how I started my journey as a photographer) I have a strong bias for his work. Look at this image. A simple composition that highlights the reality of women living in a village in Rajasthan, India. They must walk for miles to gather water for their household and family. But, they brave hardship of daily life together – just as they brave a sandstorm together in this photograph. The way Steve always finds beauty of endeavour in what people do in their lives is unimaginable. I have drawn a lot of inspiration from his work. It significantly influenced the Project Meter Down – my photography project wherein I capture people in day-to-day life situations, while commuting to and from work. While the images that I am influenced by are many more, just these three images connected with my love for cycling, admiration of human spirit, and respect for human endeavour in the face of hardship. 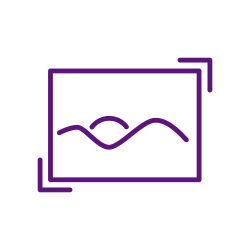 And when I am going somewhere, irrespective of what I am doing, I would notice a frame, a composition that would convey one or a combination of the feelings I mentioned above. I never make efforts to capture same or similar photos (I wouldn’t even try to). But, I do hope that my work tells a story that evokes emotion in people who view them. If I can do that, I would have created true art. Note: All images used above are for reference purposes only. Respective photographers and/or organisations hold rights to these images.